What could be better with pizza than beer? Well at Social Pie we couldn’t agree more, so we’re happy to introduce “Pint Night” at Social Pie! 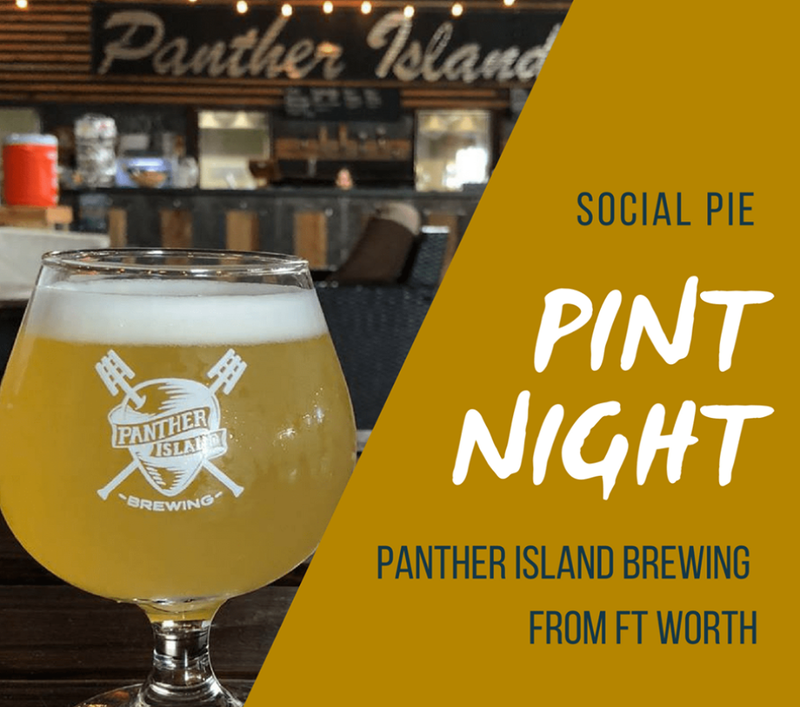 Tuesday nights are now Pint Night here at Social Pie! Stop on by from 5:00pm -9:00pm every Tuesday and enjoy a great selection of beers. We will feature a different brewing company each week! Try a pint from breweries like Panther Island Brewing or Peticolas Brewing Company. As an added bonus, there will be special glassware and swag available in limited quantities. Make sure you get here early to score these awesome items! Why you’re here, be sure to check out our other awesome beers we have on tap. You can keep up to date on our inventory through Tap Hunter. Simply click here for Social Pie’s current beers on tap. Try the crisp 3 NATIONS COZY BAVARIAN (Märzen5.8% ABV) from 3 Nations Brewing CoFarmer's Branch, TX. Or how about a BISHOP CIDER THE OG (Common Cider6.2% ABV) from Bishop Cider Co.Bishop Arts, TX. And you can’t go wrong with a REVOLVER BLOOD & HONEY (American Wheat Beer7.0% ABV20 IBU) from Revolver BrewingGranbury, TX. But you’re not coming to Social Pie just for the pint. We know you want some of the best pizza in Dallas! Why not pair your pint with one of our Artisan Pizzas like the classic Meaty Meat, The White (featuring truffle béchamel, chicken, mushroom, and spinach), or The Tony (with garlic oil, chicken, spinach, olives, goat cheese, and pickled jalapeno). Or create your own pie by starting your pie off with one of our five amazing sauces. You can go traditional with our classic red sauce, be adventurous with our truffle béchamel sauce, or go along with the bbq theme with our tasty bbq sauce. Now it is time to get creative and pick your cheese and toppings. More cheese please! We give you a variety of cheeses to choose from at social pie. Go with our fresh or shredded mozzarella, try our parmesan or manchego, be unique with our feta or goat cheese, or go crazy and try them all! The choice is yours, so have fun with it. Cheer on Texas at Social Pie!